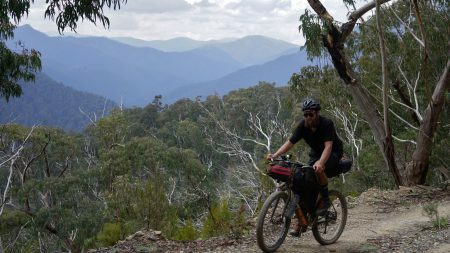 Piecing a good loop together in this mountainous region of Victoria had eluded me on two previous occasions, it’s not that both those rides were not excellent it’s just that I underestimated the terrain out here. After completing this loop with 5 others over 3 days I am convinced it is the best 2-3 day loop in the area. Day 1 will make you question that statement but once you make it to Bluff hut it only gets easier! 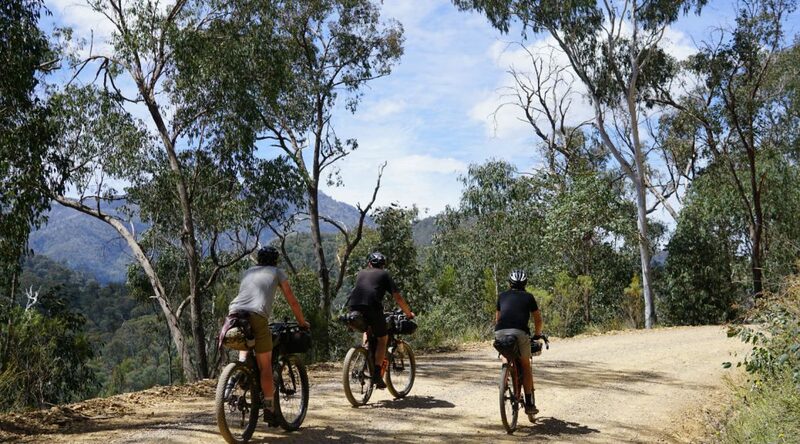 Day 2 starts with a gentle climb to Mt Lovick followed by a fantastic descent into the Upper Jamieson valley. 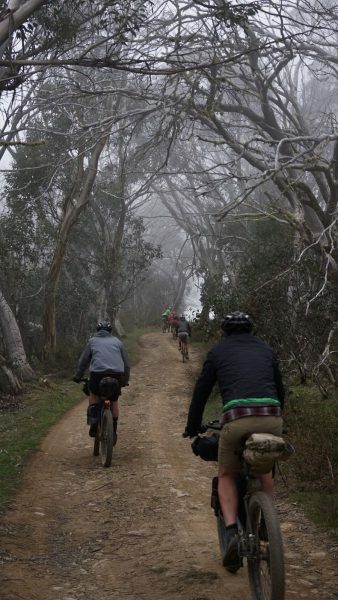 Then climb around Mt Sunday which rewards you with a whooping descent to Wren’s Flat. 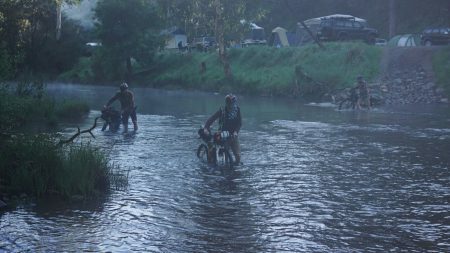 Once at Wrens Flat there are plenty of good camping options. 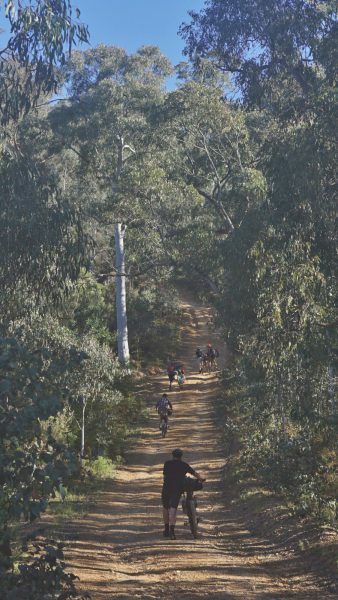 This puts you in a great position for a cruise along the Bridal trail back to Granny’s Flat. 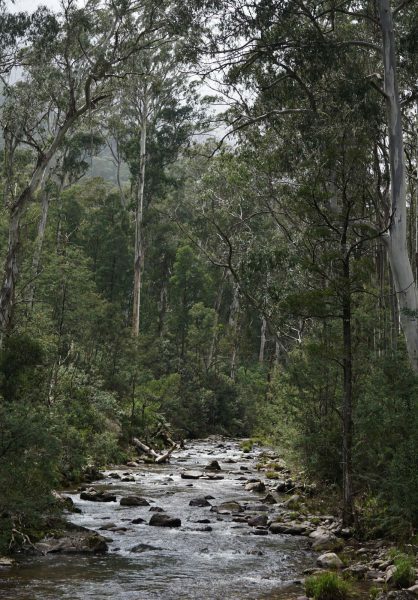 Out of Grannys flat we crossed the Jamieson river into the Howqua Hills. Fifty meters in we started walking which becomes a very common theme over the next five hours. 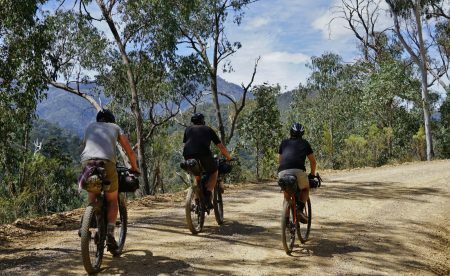 The hike a bike take you up to around 1000m and gives some good views of the south face of Mt Buller and Stirling. 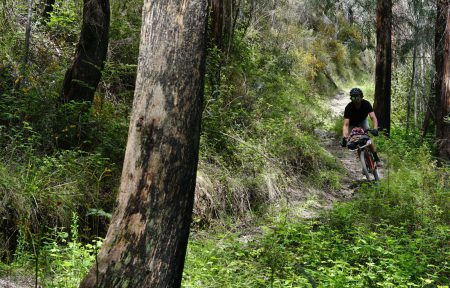 Descending down to the Howqua takes some courage as the tracks reach grades of 25-30%. This is a good reason to do this loop clockwise as push up some of these would be brutal! Steeper than it looks! And this actually looks steep! Once over the Howqua Hills its up and down for the next few hours on a mix of single and double track through to Sheepyard Flat. At 35km in we had already done over 2500m of climbing with another big climb to go. Brocks road leads skyward skirting the lower flanks of The Bluff. It’s all pretty easy going after a tough morning, except for the last push to Bluff Hut. 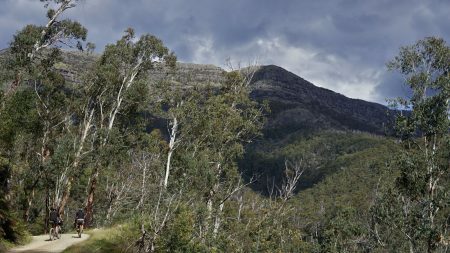 Beyond Bluff Hut you can walk up onto the ridge for awesome views of Mt Buller and the crosscut saw. 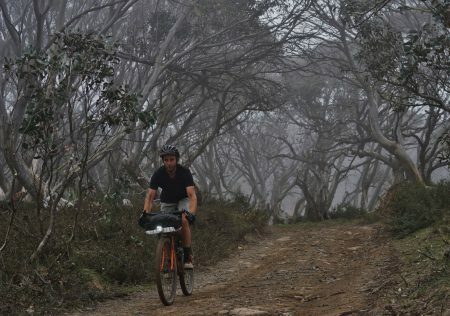 The climb up over Mt Lovicks gives fantastic views of the surrounding mountains if it’s not as foggy as the day we passed through! Once out of the fog the descent down the cairn creek track is a lot of fun and makes up for the full day of climbing the previous day. 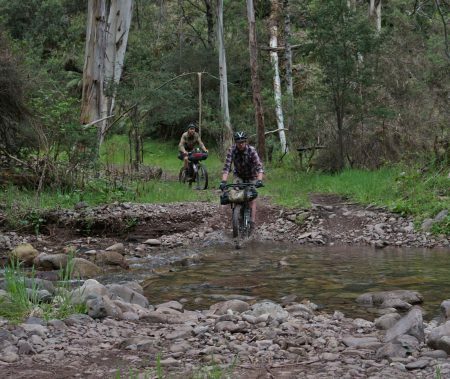 Cairn creek track pops out on the Upper Jamieson river and the descent continues on Brocks road down to cross the river again. Once off the mountain get ready to climb again as low saddle track makes its way around the summit of Mt Sunday. The climbs are pinchy at times but allow for some great views. 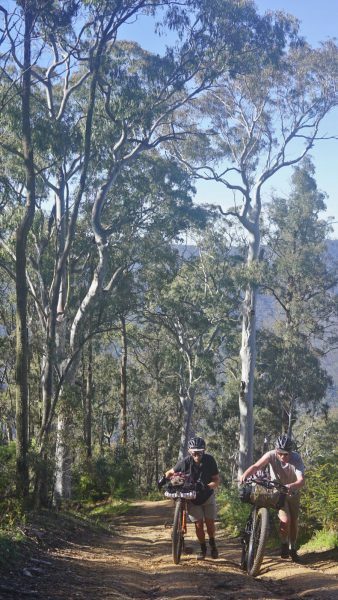 Once near to the summit of Mt Sunday hold on for an amazing roller coaster descent down to Wren’s flat. You could camp here or push on a little further. Out of Wrens Flat lie some more steep firetrails. 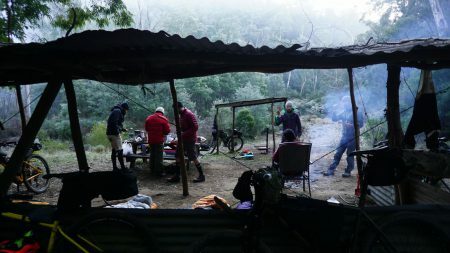 There are two lean-to shelters for a good bivvy spot on night two a few km from Wren’s flat. 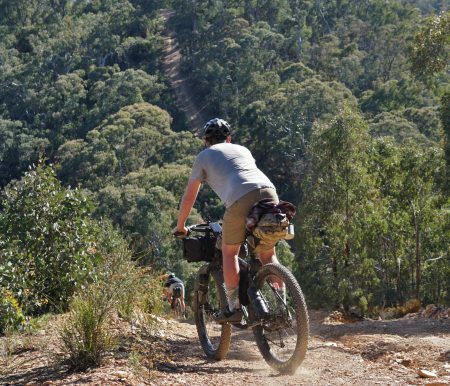 Rolling out from wherever you might have bivvied the night before it’s a relaxing roll back along the Jamieson single track to Granny’s Flat. If all go’s to plan you can fit lunch and a beer in at the Jamieson pub and be home in Melbourne for dinner!